Finally, I’ve got a little bit of time for blogging, so today wanted to write a few words about one of useful tools for developers – Yeoman. Why to do the tedious, repetitive tasks, if it can be done for us by machine, or in this case – by the program. Yeoman allows us to generate different kind projects, especially creating the structure of folders and the necessary ingredients, in order to the best practices and patterns. It makes initial creation of necessary folders and files, as well the setup of dependencies. For example we may create new AngularJS project, where we also want to have Bootstrap, Saas and other extensions, that our project will need. 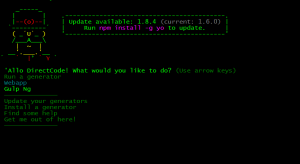 Yeoman is an useful too, with a wide spectrum of generators, that help us to create different kind projects. or mobile, and much more. 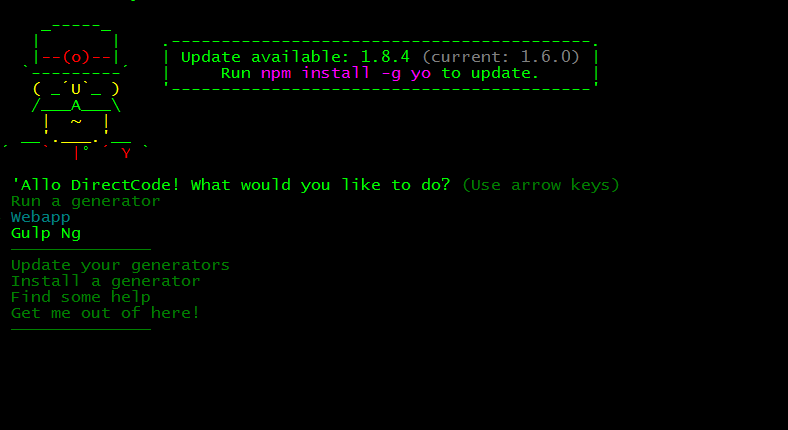 Solutions like Yeoman are easy to use and help us to create (generate) new projects, saving our precious time. The package manager such as Bower, and the task runner like Grunt, are really useful solutions even independently. The things are going to be even more interesting, if we combine them to more powerful entity.